Famous for its sprawling favelas (shanty towns), stunning white sandy beaches and picturesque mountains, Rio de Janeiro or simply Rio, is the second biggest city in Brazil and has been one of Brazil's top tourist destinations for decades. Most people, travelers included, love to spend their days and nights in Rio on the beach, as well as dancing and partying at the clubs. The beautiful landscape is one of the many dazzling reasons why tourists flock to this amazing metropolis. This is a bustling place that you really can't miss if you want to have a great time. On August 5, the whole world will turn its eyes to Rio de Janeiro, also often referred Cidade Maravilhosa (or the Marvelous City) for the 2016 Summer Olympics. If you are one of the lucky ones flying to Brazil for the occasion, we have gathered a list of things you need to know, famous attractions and some popular places worth seeing. Those from South American and some European countries, among others, do not need a tourist visa to travel in Brazil. Because of the 2016 Summer Olympics, those from Australia, Canada, Japan and the US are also exempt for stays between June and September 18, for up to 90 days. It is not surprising that the hotel volume in Rio has almost doubled in the last six years. However, don't fret. Those who would rather have an alternative to hotels can trust on the warmth and hospitality of the people in Rio, as AirBnB now has 25,000 listings. Note that voltage in Brazil is not fixed. The electric current in Rio de Janeiro is 110V. Adapters are needed for specific devices. But most hotels have 220V devices. Free Wi-Fi is available in some public areas in Rio. Unlimited Wi-Fi is available at the main bus station. Passengers at Galeão international airport and Santos Dumont domestic airport can access Wi-Fi with time restrictions. Christ the Redeemer, Copacabana, Ipanema, Sugarloaf Mountain, Jardim Botanico, Santa Teresa Neighborhood, Maracaña Stadium, Lagoa Neighborhoood Candelaria Church… these are some of the popular attractions in a city that is famous for its fun-loving and friendly welcome, which is an attraction in itself. In between Summer Olympic events, why not take a moment to see some magnificent sights or immerse yourself in the local culture of Rio. For first time visitors, note that police stations and hospitals are open 24 hours a day, while shops are usually open from 9am to 6pm during the week. For the shopaholics, most malls in Rio are open from 10am-10pm (Monday-Saturday), opening at 3pm on Sundays and during public holidays. Banks are open for service from 10am- 4pm, while ATMs operate until 10pm. People in Rio are very reluctant to drink the tap water, although the state government advises tap water is good enough for human consumption according to international standards. Generally, most homes and restaurants filter or treat tap water before drinking. There are more than 70 public toilets in strategic locations of Rio de Janeiro. However, keep in mind that some public toilets are accessible by people with an impairment. Do not litter in Rio, or you could be hit with massive fines ranging from £30 for pet litter to almost £1,000 for fly-tipping. 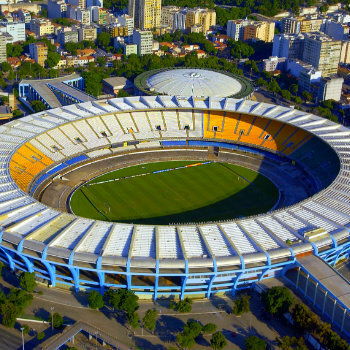 Inspectors will be extra watchful in the Deodoro zone and around the Olympic Stadium and Maracanã this August. Olympic-goers caught littering will be required to use a credit or debit card to pay the fine right away. Tourist in particular should keep in mind that it is illegal to smoke in indoor public spaces, even under awnings In Rio, establishments which violate the smoking ban could face a fine of up to 5,000 reais. Don't leave this city with trying to eat the following: barbecue, moqueca, cachaça, brigadeiros, pão de queijo (cheese bread), acarajé, quindim, açaí and feijoada. Are you a fan of Brazilian cuisine? Did we miss your favorite snacks? Let us know in the comments below. Tipping is not mandatory in hotels in Rio de Janeiro, but tips may be given to porters, doormen and chambermaids to express and shoe gratitude. The same rule applies to taxi drivers. In restaurants, a 10 per cent service charge is automatically included to the bill, hence payment is not obligatory. There are plenty of ways to get around Rio, whether it's by city and executive buses, vans, taxis, rental cars, metro lines, the BRT (Bus Rapid Transit), the new LRT (Light Rail Transit) and an extensive rail network. Given that Rio is a metropolis, the transportation prices are very affordable. There is a lot to explore in Rio, and one of the best ways to do it is through a car hire as it provides you the liberty to go to any where you want, when you want. To rent a car, all you need is your driver's license, a credit card and a passport. Nearly all agencies want renters to be at least 25 years old, though some will allow younger drivers (with an additional fee). If you are flying from London Heathrow Airport to Rio De Janeiro, the average flight time takes roughly 11 hours and 35 minutes (5,757 miles), while for Aussie travelers, the flight from Sydney to Rio is nearly 19 hours (8,392 miles). 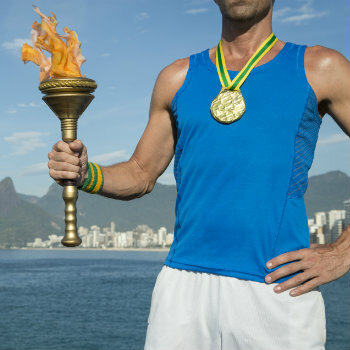 Flight time from Toronto to Rio De Janeiro is 12 hours 10 minutes (5,137 miles). 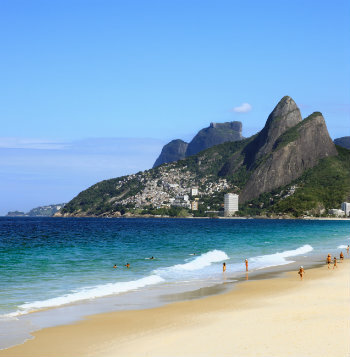 Have you been to Rio de Janeiro? Did you find this city to be different than what you expected? Let us and others know how your experience went.